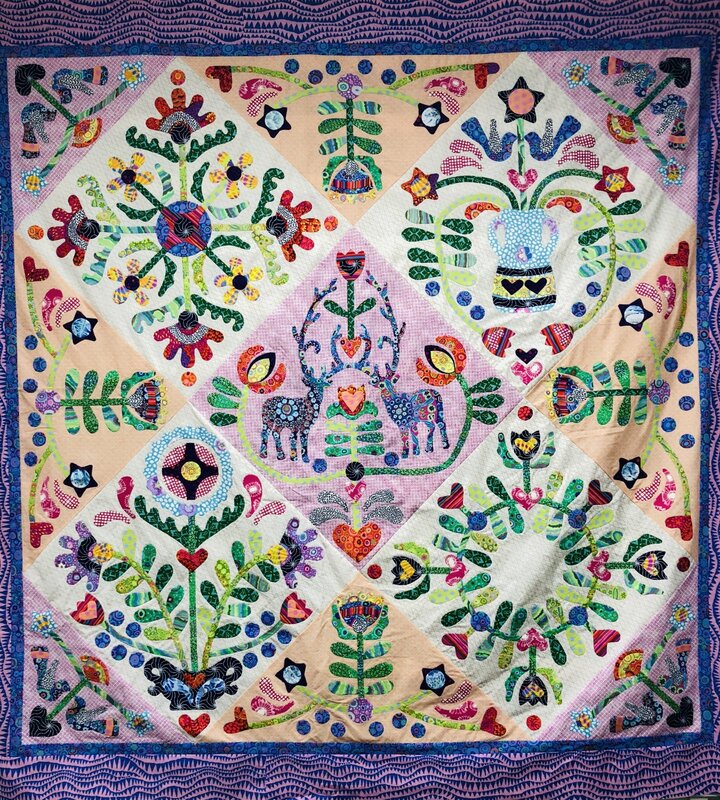 This amazing quilt is a beauty, re-created using mainly Kaffe Fassett fabrics. Limited number available. Approx finished size 165cm square. Includes all fabric for top and binding and pattern. $ 49.95 per month for 7 months. Template set $ 28.95.